1981 - 1986 Researcher, Nippon Telegraph and Telephone Corp.
1986 - 1990 ATR Auditory and Visual Perception Research Labs. 1986 - 1991 Senior Research Scientist, NTT Basic Research Labs. 1992 - 1995 Senior Research Scientist, NTT Basic Research Labs. 1996 - 1998 Senior Research Scientist & Supervisor, NTT Basic Research Labs. N. B. Root, R. Rouw, M. Asano, C.-Y. Kim, H. Melero, K. Yokosawa, & V. S. Ramachandran (2018). Why is the synesthete's "A" red? Using a five-language dataset to disentangle the effects of shape, sound, semantics, and ordinality on inducer-concurrent relationships in grapheme-color synesthesia, Cortex, 99, 375-389. R. Nakashima & K. Yokosawa (2018). To see dynamic change: Continuous focused attention facilitates change detection, but the effect persists briefly, Visual Cognition, 26, 1, 37-47. R. Niimi, H. Shimada, & K. Yokosawa (2017). Inhibition of Return Decays Rapidly When Familiar Objects Are Used. Japanese Psychological Research, 59, 2, 167-177. J. Nagai, K. Yokosawa, & M. Asano (2016). Biases and regularities of grapheme-colour associations in Japanese nonsynaesthetic population, Quarterly Journal of Experimental Psychology, 69, 1, 11-23. K. Nonose, R. Niimi, & K. Yokosawa (2016). On the three-quarter view advantage of familiar object recognition, Psychological Research, 80, 6, 1030-1048. K. Yokosawa, K. B. Schloss, M. Asano, & S. E. Palmer (2016). Ecological Effects in Cross-Cultural Differences between US and Japanese Color Preferences, Cognitive Science, 40, 7, 1590–1616. G. Sastyin, R. Niimi, & K. Yokosawa (2015). Does object view influence the scene consistency effect?, Attention, Perception & Psychophysics, 77, 3, 856-866. S. Kanaya, W. Fujisaki, S. Nishida, S. Furukawa, & K. Yokosawa (2015). Effects of frequency separation and diotic/dichotic presentations on the alternation frequency limits in audition derived from a temporal phase discrimination task, Perception, 44, 2, 198–214. R. Nakashima, C. Watanabe, E. Maeda, T. Yoshikawa, I. Matsuda, S. Miki, & K. Yokosawa (2015). The effect of expert knowledge on medical search: Medical experts have specialized abilities for detecting serious lesions, Psychological Research, 79, 5, 729-738. K. Tamaoka, M. Asano, Y. Miyaoka, & K. Yokosawa (2014). Pre- and post-head processing for single- and double-scrambled sentences of a head-final language by the eye tracking method, Journal of Psycholinguistic Research, 43, 2, 167-185. M. Asano & K. Yokosawa (2013). Determinants of synaesthetic colours for different types of graphemes: Towards a comprehensive model, Visual Cognition, 21, 6, 674-678. R, Nakashima, K. Kobayashi, E. Maeda, T. Yoshikawa, & K. Yokosawa (2013). Visual search of experts in medical image reading: The effect of training, target prevalence, and expert knowledge, Frontiers in Psychology, 4:166. DOI: 10.3389/fpsyg.2013.00166. R. Nakashima & K. Yokosawa (2013). Visual search in divided areas: Dividers initially interfere with and later facilitate visual search, Attention, Perception & Psychophysics, 75, 2, 299-307. M. Asano & K. Yokosawa (2012). Synesthetic colors for Japanese late acquired graphemes, Consciousness and Cognition, 21, 2, 983-993. A. Nishimura & K. Yokosawa (2012). Effects of Visual Cue and Response Assignment on Spatial Stimulus Coding in Stimulus-Response Compatibility. Quarterly Journal of Experimental Psychology, 65, 1, 55-72. M. Asano & K. Yokosawa (2011). Implicit synesthetic perception in lexical processing.The Japanese Journal of Psychonomic Science, 30, 1 ,141-142. M. Asano & K. Yokosawa (2011). Synesthetic colors are elicited by sound quality in Japanese synesthetes, Consciousness and Cognition, 20, 4, 1816-1823. A. Saneyoshi, R. Niimi, T. Suetsugu, T. Kaminaga, & K. Yokosawa (2011). Iconic memory and parietofrontal network: fMRI study using temporal integration, NeuroReport, 22, 11, 515-519. R. Niimi, A. Saneyoshi, R. Abe, T. Kaminaga, & K. Yokosawa (2011). Parietal and frontal object areas underlie perception of object orientation in depth, Neuroscience Letters, 496, 35-39. M. Asano & K. Yokosawa (2011). Rapid extraction of gist from visual text and its influence on word recognition, The Journal of General Psychology, 138, 2, 127-154. R. Nakashima & K. Yokosawa (2011). Does scene context always facilitate retrieval of visual object representations?, Psychonomic Bulletin & Review, 18, 2, 309-315. S. Kanaya & K. Yokosawa (2011). Perceptual congruency of audio-visual speech affects ventriloquism with bilateral visual stimuli, Psychonomic Bulletin & Review, 18, 1, 123-128. A. Nishimura & K. Yokosawa (2010). Visual and auditory accessory stimulus offset and the Simon effect. Attention, Perception & Psychophysics. 72 1965-1974. A. Nishimura & K. Yokosawa (2010). Response-specifying cue for action interferes with perception of feature-sharing stimuli. Quarterly Journal of Experimental Psychology, 63, 6, 1150-1167. A. Nishimura & K. Yokosawa (2010). Effector identity and orthogonal stimulus-response compatibility in blindness to response-compatible stimuli. Psychological Research, 74, 2, 172-181. A. Nishimura & K. Yokosawa (2009). The effects of visual or auditory offset on response selection. The Japanese Journal of Psychonomic Science, 28, 1, 167-168. A. Nishimura & K. Yokosawa (2009). Effects of laterality and pitch height of an auditory accessory stimulus on horizontal response selection: The Simon effect and the SMARC effect. Psychonomic Bulletin & Review, 16, 4, 666-670. R. Niimi & K. Yokosawa (2009). Viewpoint dependency in the recognition of non-elongated familiar objects: Testing the effects of symmetry, front-back axis, and familiarity. Perception, 38, 4, 533-551. R. Niimi & K. Yokosawa (2009). Three-quarter views are subjectively good because object orientation is uncertain. Psychonomic Bulletin & Review, 16, 2, 289-294. M. Asano & K. Yokosawa (2008). Sentence context processing has priority over constituent word processing. The Japanese Journal of Psychonomic Science, 27, 1, 113-114. M. Asano, S. Kanaya, & K. Yokosawa (2008). Proofreaders show a generalized ability to allocate spatial attention to detect changes. Psychologia, 51, 2, 126-141. R. Niimi, K. Watanabe, & K. Yokosawa (2008). The dynamic-stimulus advantage of visual symmetry perception. Psychological Research, 72, 5, 567-579. A. Ariga & K. Yokosawa (2008). Contingent attentional capture occurs by activated target congruence. Perception & Psychophysics, 70, 4, 680-687. A. Ariga & K. Yokosawa (2008). Attentional awakening: Gradual modulation of temporal attention in rapid serial visual presentation. Psychological Research, 72, 2, 192-202. R. Niimi & K. Yokosawa (2008). Determining the orientation of depth-rotated familiar objects. Psychonomic Bulletin & Review, 15, 1, 208-214. A. Nishimura & K. Yokosawa (2007). Preparation for horizontal or vertical dimensions affects the right-left prevalence effect. Perception & Psychophysics, 69, 7, 1242-1252. A. Ariga, K. Yokosawa, & H. Ogawa (2007). Object-based attentional selection and awareness of objects. Visual Cognition, 15, 6, 685-709. Y. Hibi & K. Yokosawa (2007). On the Relation Between Object and Action: Response Consistency and Stimulus-Response Compatibility. Visual Cognition, 15, 3, 349-380. H. Jin & K. Yokosawa (2007). The attribute of language-switching in Chinese-Japanese bilinguals' word recognition.The Japanese Journal of Psychonomic Science, 25, 2, 279-280. A. Ariga & K. Yokosawa (2007). Semantic activation of target congruence contingently captures attention. The Japanese Journal of Psychonomic Science, 25, 2, 285-286. R. Niimi, K. Yokosawa, & K. Watanabe (2006). Attentional set for axis of symmetry in symmetry-defined visual search. Perception & Psychophysics, 68, 7, 1153-1162. A. Nishimura & K. Yokosawa (2006). Orthogonal Stimulus-Response compatibility effects emerge even when the stimulus position is task irrelevant. Quarterly Journal of Experimental Psychology, 59, 6, 1021-1032. R. Niimi & K. Yokosawa (2006). The role of visual symmetry in determining depth orientation of familiar objects. The Japanese Journal of Psychonomic Science, 25, 1, 105-106. R. Niimi, K. Watanabe, & K. Yokosawa (2005). The role of visible persistence for perception of visual bilateral symmetry. Japanese Psychological Research, 47, 4, 262-270. A. Ariga & K. Yokosawa (2005). The transitions of time-dependent performance in the task. The Japanese Journal of Psychonomic Science, 24, 1, 117-118. K. Yokosawa, E. Wada, & H. Mitsumatsu (2005). Coding and transformation of cognitive maps in a virtual environment. Electronics and Communications in Japan: Part 3, 88, 4 , 43 - 50. M. Asano & K. Yokosawa (2004). The effect of phonology and misprint location on Japanese proofreading. The Japanese Journal of Psychonomic Science, 23, 1, 103-104. S. Takei, T. Takeuchi, & K. Yokosawa (2004). Low-level visual interaction in the effect of peripheral cuing. The Japanese Journal of Psychonomic Science, 23, 1, 99-100. Y. Makino, K. Yokosawa, Y. Takeda & T. Kumada (2004). Visual search and memory search engage extensive overlapping cerebral cortices: An fMRI study. NeuroImage, 23, 525-533. T. Takeuchi, K. Yokosawa, & K.K. De Valois (2004). Texture segregation by motion under low luminance levels. Vision Research, 44, 2, 157-166. H. Mitsumatsu & K. Yokosawa (2003). Efficient extrapolation of the view using the dynamic and predictive stimulus. Perception, 32, 8, 969-983. J. Nagai & K. Yokosawa (2003). Negative priming and stimulus familiarity: What causes opposite results? Memory & Cognition, 31, 3, 369-379. K. Yokosawa & T. Kumada (2003). Voluntary Aspects of Attentional Control Setting for Detecting A Feature-Defined Target. Japanese Psychological Research, 45, 1, 1-14. 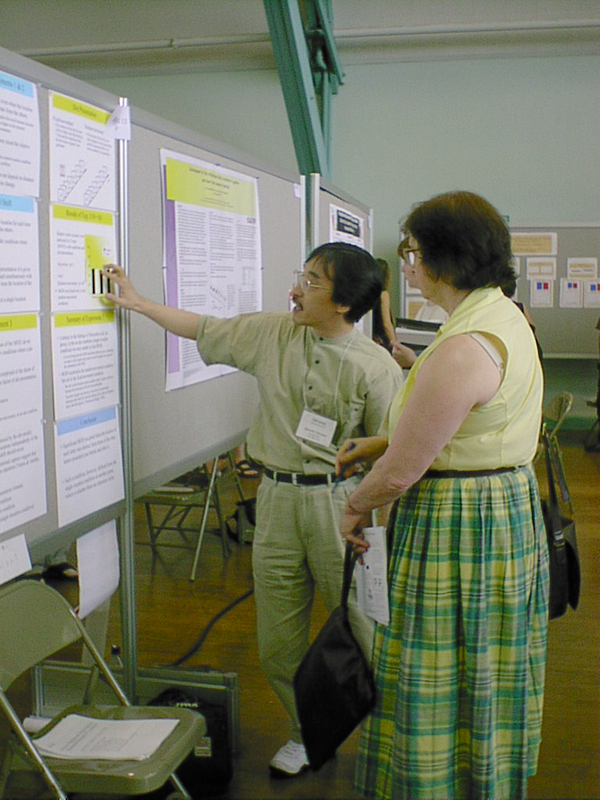 K. Yokosawa & H. Mitsumatsu (2003). Does disruption of a scene impair change detection? Journal of Vision, 3, 1, 41-48. N. Matsuzaki, H. Shigemasu, N. Ito, & K. Yokosawa (2002). Environment for Psychological Experiments on the Internet. Educational Technology Research, 25, 1/2, 19-28. H. Mitsumatsu & K. Yokosawa (2002). How does the internal detail of the object contribute to recognition? Perception 31, 11, 1289-1298. Y. Hibi & K. Yokosawa (2002). The effect of response representation in a task switch. The Japanese Journal of Psychonomic Science, 21, 1, 57-58. 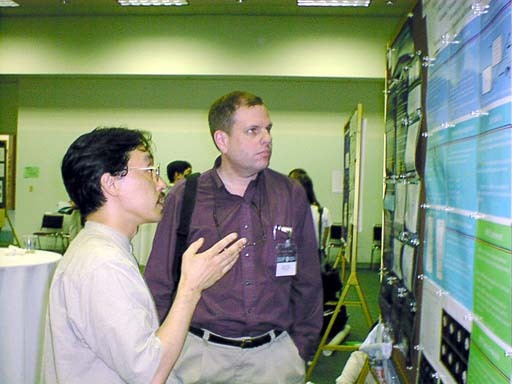 J. Kawahara & K. Yokosawa (2001). Preattentive perception of multiple illusory line motion: A formal model of parallel independent-detection in visual search, The Journal of General Psychology, 128, 4, 357-383. S. Kanaya & K. Yokosawa (2012). The syllable congruency of audio-visual speech stimuli and the response timing in the ventriloquism with bilateral visual presentations, The 43rd NIPS International Symposium: Face Recognition and Perception (Okazaki, Japan).